Home / Ricetta / Bloody Mary with Garlic-Flavoured Extra Virgin Olive Oil. Bloody Mary with Garlic-Flavoured Extra Virgin Olive Oil. First prepare the appetizer you will place on top of the glass. Fit the pickles onto two cocktail sticks, which will be rested on the edges of the glass. Remove the heads and shells of the shrimps but leave the end of the tail in place. Make a shallow cut along the back and remove the black thread of intestine. Season the shrimps with oil, salt and paprika. Sear on a griddle for 2 minutes per side then set aside. Place the ice-cubes in a cocktail shaker then add the tomato juice, vodka and lemon juice. 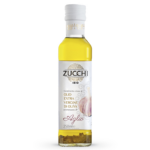 Add two drops of Tabasco sauce, two of Worcester sauce and two of Zucchi garlic-flavoured extra virgin olive oil. Shake briskly for a few seconds. Pour the cocktail into the glasses, season with a pinch of salt and a dash of pepper and stir. 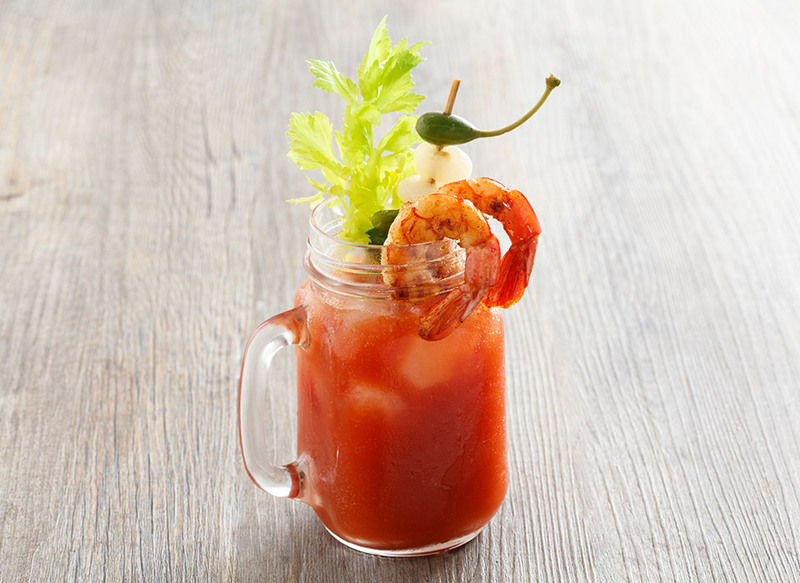 Garnish the glass with the cocktail stick of pickles and the celery, place two shrimps over the rim of the glass and serve immediately.